Muddling is a common technique used in the bar. You may know it from popular drinks like the Mojito, Mint Julep, Old-fashioned, and Caipirinha, but there are more fabulous recipes that require a little smash with the muddler. The technique of muddling is very simple: take a thick stick and smash your ingredients in a glass or cocktail shaker. It is the perfect way to release the juices from fruits and the essences of herbs and it is used to create some of the freshest cocktails you can make. While muddling is not a new technique, it fell out of favor for a number of years because it was often thought as too much work to put into making a drink. This is certainly not true and we are seeing more and more bartenders reach for the muddler when developing new recipes. In the following pages, you will find over 100 fun and tasty cocktails that begin with a little muddling action. From the popular rum cocktails to market-fresh vodka recipes, there is sure to be a drink in this collection for everyone. Rum is one of the most common base spirits used alongside a muddler. This is because the cocktails often have a tropical flair and feature fresh fruits that need to be broken down. Among the most famous rum recipes that need to be muddled are these three shining stars of the cocktail world. 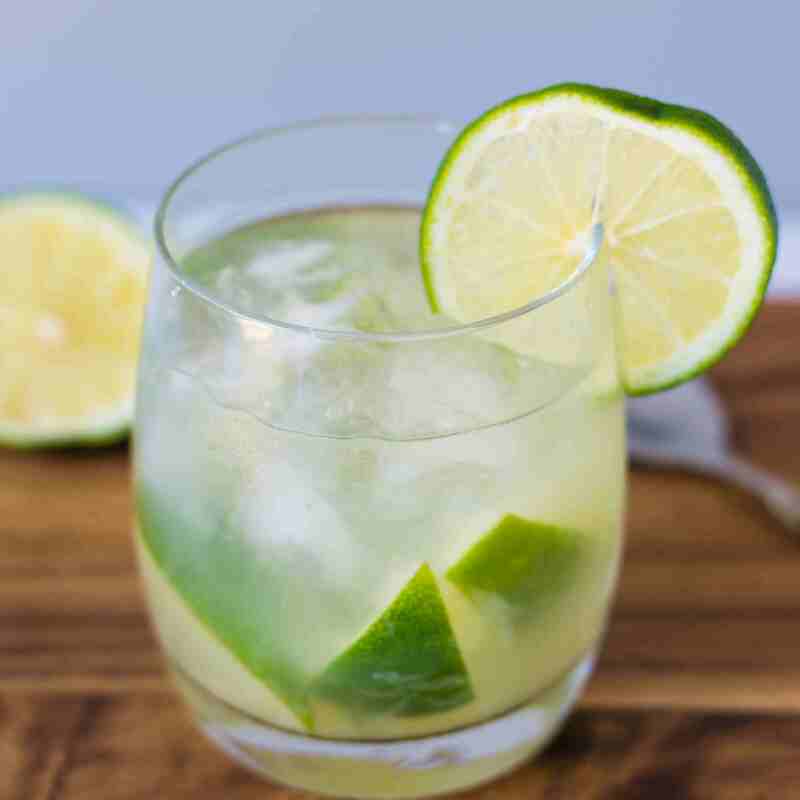 Once you fall in love with the Caipirinha and Mojito, you will want to expand your palate and give one of these recipes a taste. Many of them are simply adaptations of those popular drinks and they often bring in a different fruit or add some simple and fun new twist. Whiskey also makes an appearance in many muddled cocktails and you will need a muddler to make a few of the best whiskey drinks ever created. As soon as you own a muddler, you will want to try these whiskey drinks. They are unbelievably easy and the perfect recipes for accenting your favorite premium whiskey. Moving past the basics, it's time to get a little wild. The following recipes are modern creations that are sure to put a spark back into your cocktail routine. Vodka may not be the first liquor you think of when it comes to muddling, but it is used in a lot of modern recipes. That is because fresh is one of the hottest trends on the bar scene and vodka is always hot, so it is an ideal match. Among the many vodka cocktails on this list, I wanted to pull a few out to bring to your attention. These seven cocktails show off the full range of vodka drinks, from spicy to sweet and any of them will impress even the most finicky of drinkers. Vodka is the perfect base for any market- and garden-fresh cocktails. Its semi-transparent flavor is ideal for sweet fruits, warm spices, and fresh herbs and this collection is definitely not boring. Tequila has a lot of flavor potential and we are seeing more tequila cocktails employ the muddler. You will see many fruits used in these recipes, but also take note of the hot peppers because spicy drink lovers will want to try those beauties. Gin meets the muddler? While unusual and certainly breaks the tradition of gin favorites like the Martini and Gin & Tonic, you will quickly discover why these two elements of the bar are a perfect match. No muddled gin cocktail is exactly popular - known and loved worldwide - yet there are a few drinks I feel you should try. These five easy and super-fresh recipes show off the full potential of gin drinks in their freshest form. If you still don't think that gin can stretch into new worlds, these cocktails will quickly change your mind. Brandy is used much like whiskey when the muddler is needed. In fact, you will find that a number of these brandy-based drinks mimic our favorite whiskey smashes. The first three recipes are also old-timey classics that you will want to taste. There are a number of muddled recipes that skip the base liquor completely. In this first set of recipes, you will discover drinks that rely on a spirit of a different kind. They're unique and a lot of fun. Finally, you don't always have to include booze just to use your muddler. The following recipes are tasty non-alcoholic drinks that everyone can enjoy. What Is a Shrub in the Drink World? Want to Create a Green Cocktail?